How does Neuroteach Global work? Where do I complete Neuroteach Global? How did Neuroteach Global come about? What kinds of feedback will I receive from Neuroteach Global? What if I want to accelerate my Neuroteach Global experience and finish it early? How might I experience Neuroteach Global with my colleagues? What research informs the content of Neuroteach Global? Why should I make Neuroteach Global a part of my professional development growth plan? How do I pay for and fund my Neuroteach Global experience? How do I get MBE certified? What does it mean to do so? How do I learn more about the Neuroteach book? 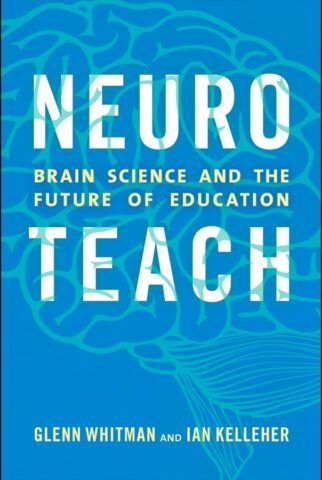 The foundation of Neuroteach Global is formed by the book Neuroteach: Brain Science and the Future of Education, written by Dr. Ian Kelleher and Glenn Whitman, and the work of the Center for Transformative Teaching and Learning. The most robust research in Mind, Brain, and Education Science is embedded into the fictional stories of Dewey High. Each of the 12 Level I micro-courses are broken into 10 chapters that take between 3-5 minutes to complete. Using research on memory and the spacing effect, chapters are delivered in spaced intervals, so you cannot binge experience Neuroteach Global; we actually want you to start forgetting a little before re-engaging with your next experience. Real-world classroom missions arrive approximately every four chapters, and users receive feedback on them within 72 hours after they are submitted. We know that learning about Mind, Brain, and Education Science research through micro-courses delivered to your mobile device is not the typical way to receive professional development. As daily classroom teachers ourselves, we know the reality of teachers’ lives—Glenn teaches history, and Ian teaches science. We also know that all teachers want to challenge and support each of their students as best they can. Micro-courses respect a teacher’s time by delivering research and strategies in a storified way that is actually fun, which is not a word we often hear used to describe professional development! You can work on your Neuroteach Global micro-courses while you make toast, stand in line at the grocery store, or wait for the subway. Sure, you could check your Instagram—but why not use that time to deepen your understanding of Mind, Brain, and Education Science? The portability and flexibility of the Neuroteach Global experience allows you to complete a chapter or micro-course anytime, anywhere, and on any device of your choosing. In 2017, the Chan Zuckerberg Initiative challenged the CTTL to leverage technology in order to deliver its in-person programming, printed works, and resources for MBE Science translation and integration. The catch: we had to think beyond a MOOC (massive open online course) or a video series. With Neuroteach Global micro-courses on the Talented Experiential Learning Platform, we offer an experiential journey to understanding the latest in MBE research for teachers, informed by more than ten years of insight gained through the work of St. Andrew’s and the CTTL. While development and growth are key parts of any professional teacher’s career, research shows us that professional development is currently delivered in sub-optimal ways, whether in person or online. This leads to little change in the practices of schools and teachers. Micro-learning offers a tested way to make the crucial lessons of MBE stick, leading to more positive impact on the careers of teachers—and the lives of their students. Put simply, we’re using the Science of Learning to deliver professional development on the Science of Learning. 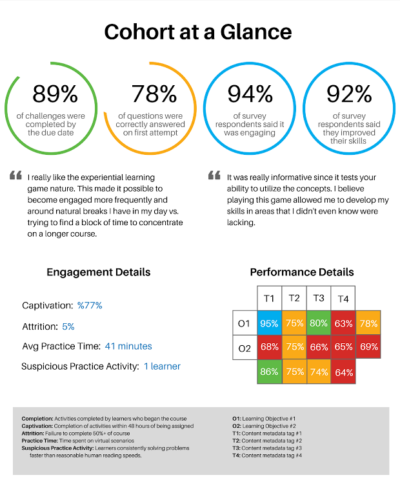 Research tells us that actionable feedback is critical to learning. 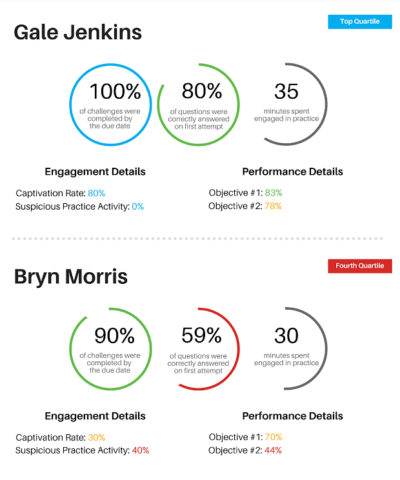 Neuroteach Global users receive feedback in three different ways. First, real-time feedback comes as users answer questions related to student experiences at Dewey High School. Second, each micro-course includes two real-world classroom missions; users receive feedback on these missions from master teachers within 72 hours of submission. Third, each completed micro-course generates a Performance Report that provides quantitative feedback, helping each individual or cohort pinpoint areas of strong understanding of the Science of Learning, as well as areas that require continued focus. Sorry, but you can’t. Our program is intentionally spaced to allow for the crucial processes of letting knowledge settle, forgetting a bit, and being reminded. Micro-learning is tremendously helpful for retention; therefore, a one-hour micro-course is delivered in ten chunks of 3-5 minutes each, over four weeks. While Neuroteach Global can be experienced individually, there are many different ways in which academic departments, grade levels, divisions, schools, and entire districts can participate together. You can find a great deal of relevant research via our research base. Before you do, it’s helpful to understand the the design, content, and delivery of Neuroteach Global is informed by four major areas of research: Mind, Brain, and Education Science; professional development; behavioral change; and how the adult brain learns. As you experience Neuroteach Global, you’ll have the opportunity to note where research and strategies from the Science of Learning—such as novelty, choice, feedback, metacognition, memory, engagement, attention, and change—emerge. For a long time, we’ve known about simple strategies that help all students learn. These strategies haven’t made it into classrooms in a widespread way, signaling a failure in the status quo when it comes to communicating them. Learning Sciences are traditionally delivered to teachers and other educational leaders through professional development programming. Teachers often feel too busy to integrate these concepts into their teaching, or ill-equipped to master the concepts as they’re presented. Neuroteach Global is designed to overcome these barriers, offering teachers a portable, flexible way to learn and test their new skills. It is the first program to use the Science of Learning to teach the Science of Learning. Research tells us that teacher quality is the most important factor in our control that affects a student’s education. It also tells us that teacher effectiveness plateaus after 2-3 years, unless the school has a high-quality PD environment. Neuroteach Global can improve teacher quality at all levels and engagement states. It provides a roadmap and a sense of urgency, modeling the teaching and assessing in multiple modalities to engage teachers in the most promising research to enhance teacher quality and student outcomes. We recognize that Neuroteach Global requires a commitment in time and resources for individual teachers, schools, and school districts. We also recognize that individual teachers and schools have varied access to funding support. We want to help. That is why the CTTL has grantwriters available to help schools and districts identify regional and national funders and philanthropists that can support their Mind, Brain, and Education science professional development journey. Contact neuroteach@thecttl.org for more information about this human resource, which was built into the grants provided by the Chan Zuckerberg Initiative and the Omidyar Group. For individual teachers, we do not yet have funding support or resources targeted to your needs. One promising suggestion is to use the DonorsChoose.org platform to pursue funding to engage with Neuroteach Global; you can learn more about this option here. Beginning in 2019, teachers and school leaders can work toward becoming CTTL Mind, Brain, and Education certified through Neuroteach Global. Our three-level, four track professional development resource was designed with the adult learner in mind. It applies research such as novelty, choice, the spacing effect, interleaving, and mindset (growth, belonging, purpose, and relevance) into storified learning experiences. When you complete it, you’ll have not only deepened your own skills and ability to bring out the best learning in your students; you’ll also earn an MBE Certification. By working on your own MBE professional growth and credentialing through Neuroteach Global, you’ll also accrue Neuroteach Global scholarships for under-resourced teachers and schools around the world. We also know that—depending on school, district, state, or national requirements—users of Neuroteach Global will have different certification needs that could include Continuing Education Units, micro-credentials, or graduate credit. Our team is eager to work with users to help secure the credit that is most useful for advancing their teaching or school leadership credentials or career. If you’d like to take a multiple-modality approach to learning the MBE Science of Learning research that is integrated throughout Neuroteach Global, you’ll love our book, Neuroteach: Brain Science and the Future of Education. Written by Glenn Whitman, Director of the Center for Transformative Teaching and Learning, and Dr. Ian Kelleher, Head of Research at CTTL, the book inspired the team to offer Neuroteach Global as a virtual tool. You can buy the book here.